INDIANAPOLIS (May 1, 2014) – Klipsch, a leading global speaker and headphone manufacturer, revealed today that it is enhancing its support of live music and the Kings of Leon 2014 Mechanical Bull tour sponsorship by announcing it is the title sponsor of the UK concerts throughout June 2014. 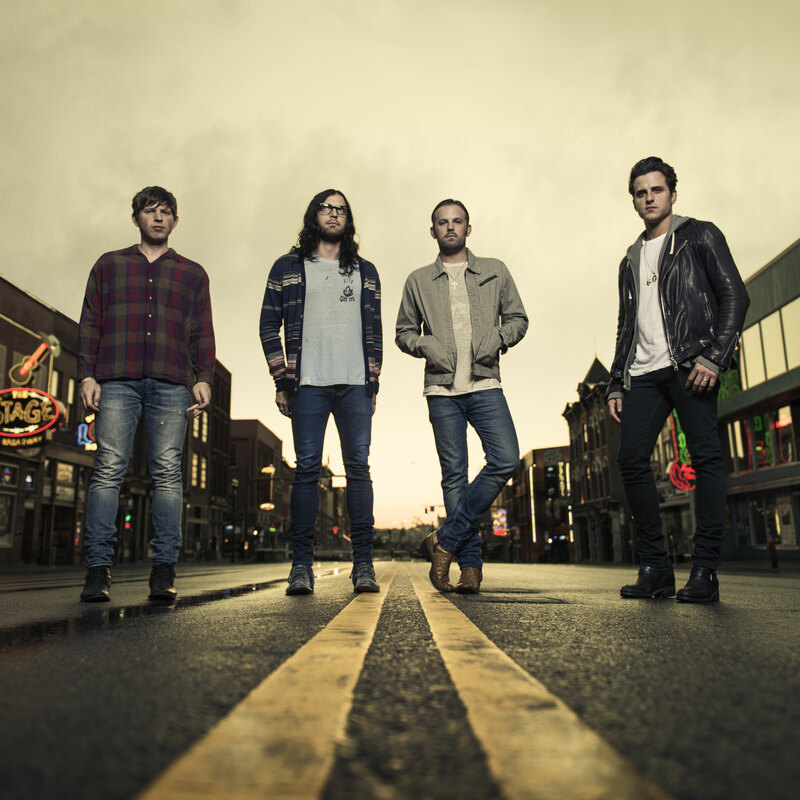 Klipsch Audio presents Kings of Leon 2014 Mechanical Bull Tour concerts include Sheffield (17th June), Manchester (18th June), Glasgow (20th June) and Milton Keynes (22nd June). Concertgoers can look forward to testing out Klipsch products including the new Reference headphones, the recently launched Klipsch Status headphones and the range of Klipsch wireless music centres. There will also be opportunities to win branded Kings of Leon and Klipsch products, courtesy of a spin the wheel challenge - all prior to enjoying a night of great live music. And if that’s not all, Klipsch is giving concertgoers the chance to upgrade their seats simply by tweeting #KlipschUpgrade to @Klipschaudio – look for instructions at your venue. This is the first partnership for both Kings of Leon and Klipsch. With Kings of Leon, Klipsch found not just a musical synergy and similar Southern roots, but a willingness to invest in the idea of bringing the emotion of concerts and other in-person live musical experiences to products and devices that can recreate those feelings at home. For more information on the Klipsch brand and its product offerings, please visit http://www.klipsch.com. For over 65 years, Klipsch has designed premium speakers for those who are passionate about great sound. Company founder Paul W. Klipsch started this legacy in 1946, and it continues today with sheer commitment to innovation and delivering the world’s most powerful, detailed and emotional sound reproduction. Today, the brand’s diverse product portfolio encompasses home theater, professional cinema, installed whole-house contracting, commercial, computer speakers, wireless music speakers and headphones. As one of the first U.S. loudspeaker companies, Klipsch continues to be the high-performance brand of choice for audiophiles and home theater aficionados around the world. Klipsch Group, Inc. is also a wholly-owned subsidiary of VOXX International Corporation (NASDAQ: VOXX). Comprised of three Followill brothers -- Caleb (guitar), Nathan (drums), and Jared (bass), as well as first cousin Matthew Followill (guitar) -- Kings of Leon’s debut album Youth and Young Manhood was released in 2003 and became an immediate sensation in the UK. The group achieved opening spots for U2, Pearl Jam and Bob Dylan after the release of their sophomore album, Aha Shake Heartbreak, and continued to garner acclaim with Because of the Times, which debuted at No. 25 on the U.S. Billboard200. In 2008, the group released Only By The Night, the record that catapulted the band into the mainstream. The multi-platinum-selling album debuted in the Top 5 on the Billboard Top 200 chart, hit No. 1 in five countries, sold more than 6.5 million copies worldwide, and earned Kings of Leon four Grammy® Awards. Kings of Leon continued to follow their own muse and refused to play it safe with their 2010 album Come Around Sundown. In September of 2013, they released their latest, Mechanical Bull, to great acclaim. The NY Times said that with Mechanical Bull, "anthemic is the goal and anthemic is the end result," while Entertainment Weekly claimed the album finds the band "recapturing the white-lightning-in-a-bottle spark." The NY Daily News awarded the album five stars out of five, hailing that it "boasts the most clear-eyed performances, finest writing and sharpest focus of KOL's career." Rolling Stone said the new songs "quake with soul, country and gospel history," and MTV claimed the album is "the Kings at their most powerful and complete." SPIN called Mechanical Bull the band's "most seasoned" album and said that Kings of Leon are at "the peak of their skill. Jill Escol, Klipsch Group, Inc.